What is the purpose and impact of an Official Plan? An official plan is an important land use planning document that helps Grey County manage our land and resources. It is a forward looking plan that sets goals and policies about how Grey County should grow and develop over the next 20 years.  Over the past two years, Grey County has been working with the community to update and replace the current official plan. Recolour Grey is the name of Grey County’s review of the County Official Plan. Recolour Grey challenges everyone to think 20 years into their future and envision the County the way they want to see it. Recolour Grey will result in a new County Official Plan under Section 17 of the Planning Act, R.S.O. 1990, as amended. The County Official Plan sets goals related to development, communities and our natural resources. This plan divides the county into different land uses (agricultural, wetland, urban etc.) and sets policies for each designation. The Official Plan is active for 20 years and is revised every few years to ensure it is effective and relevant. The success of Recolour Grey relies on meaningful public input and everyone can contribute. It doesn’t matter if you are young or old, a resident of Grey or a visitor. We want your input to help us preserve what matters most and to grow opportunities for the next 20 years. What is the effect of the Official Plan? How can it benefit or impact your property? Land use planning affects almost every area of life. It helps decide where our communities, homes, businesses and factories should be built; where parks and schools should be located; and where roads, sewers and other essential services should be installed. The changes to the Official Plan may result in benefits to your property. The range of permitted uses in an official plan may allow for more than what is currently on a property. For example, the Recolour Grey draft policies would allow for more on-farm businesses than are currently permitted. The official plan also maps environmental features and hazard lands for protection. Sometimes the location of these features on your property may limit what you can do with your land, including where buildings can be built. In other cases, it may trigger the need for further environmental study at the landowners expense. Through Recolour Grey the County is proposing new environmental features, including cores, linkages, and significant valleylands. You may wish to check the mapping to see if any of these features are located on or near your property. Want to compare the land use types and mapping between the current Official Plan and the proposed Official Plan? Want to see if or how your property is impacted? We've developed an interactive map for Recolour Grey. Zoom right into your property and see the different schedules and appendices. Visit www.grey.ca/recolourgrey to find a link to the Recolour Grey Interactive Mapping. *Please note these maps have a lot of detail and take some time to load. If you are having difficulties, please contact us at recolour@grey.ca. County staff will highlight key changes of the proposed Official Plan, including suggested revisions we’ve already received from the public. After the presentation there will be a formal public question and comment period. If you wish to present at the public meeting in respect of the proposed Official Plan, please let us know by sending us an email or writing to us at the addresses noted below by 4:30pm on March 26, 2018. A copy of the proposed Official Plan and additional background information can be found on Grey County’s website at www.grey.ca/recolourgrey. A hard copy can also be viewed at the Grey County Administration (address below) during regular business hours. A key map has not been provided because the Official Plan covers the entire county. If you can’t attend the meeting you can also send your comments by email or mail to the Grey County Planning Department at the address listed below. **Please note that changes to the Planning Act and the appeal process come into effect April 3, 2018. Based on the changes to the appeal process it is very likely that the Province’s decision on the Official Plan will not be appealable. If you wish to be notified of the decision of the County of Grey on the proposed Official Plan, you must make a written request to the County of Grey at the address listed below. Following Council’s adoption of the Official Plan it will then be sent on to the Province for their review and approval.